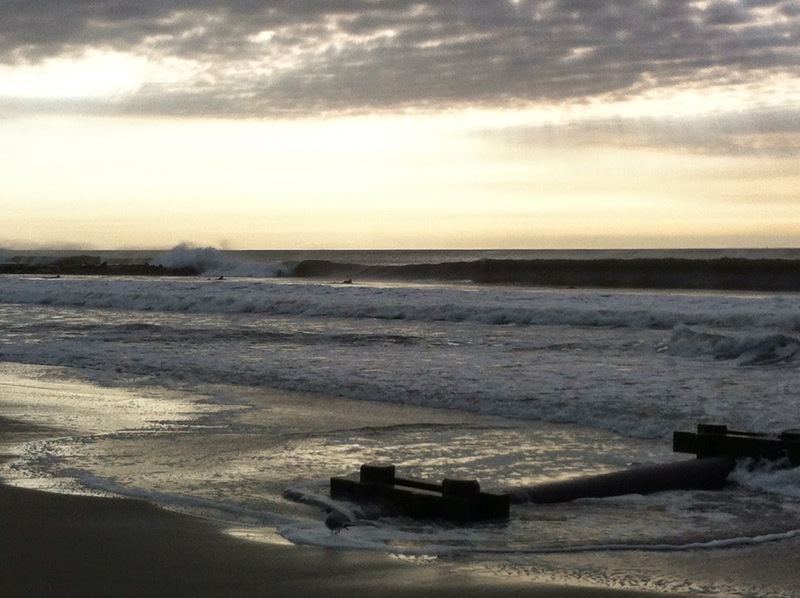 About 2 weeks ago, at the same time that Hurricane Marie was hitting the West Coast, over on the east coast we were getting our own swell from Hurricane Cristobal. 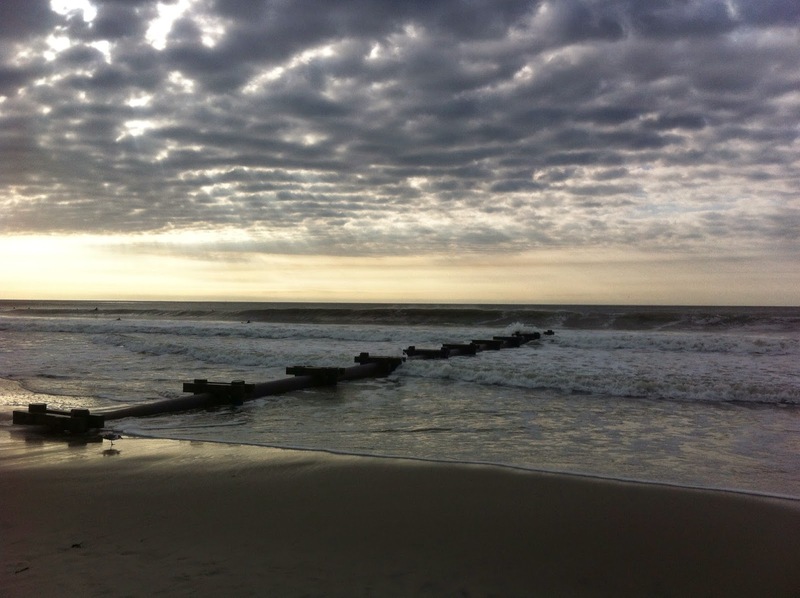 All the forecasts were calling for clean waves with size, so on Thursday morning, August 28, I got up at 5:00 am so I could hit Ocean City, New Jersey at first light. 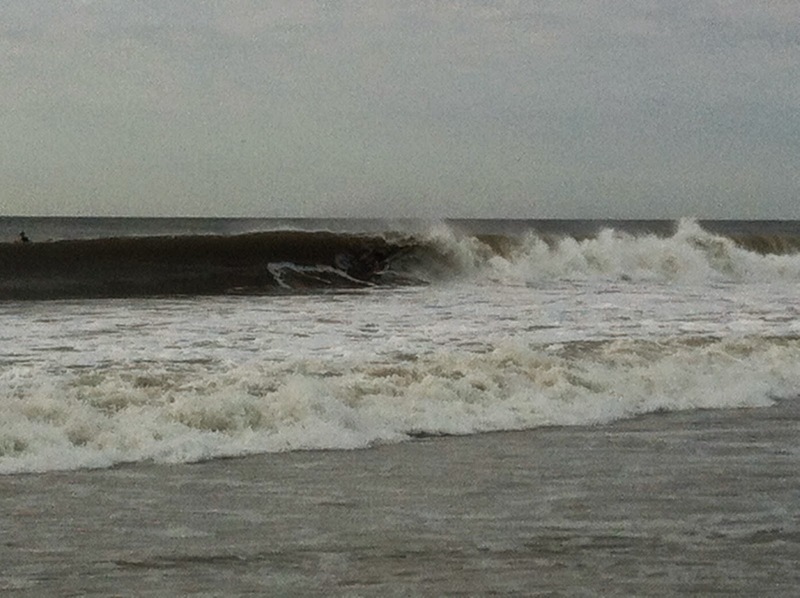 When I paddled out near 7th Street off the boardwalk there were already plenty of guys out, and the waves were firing. 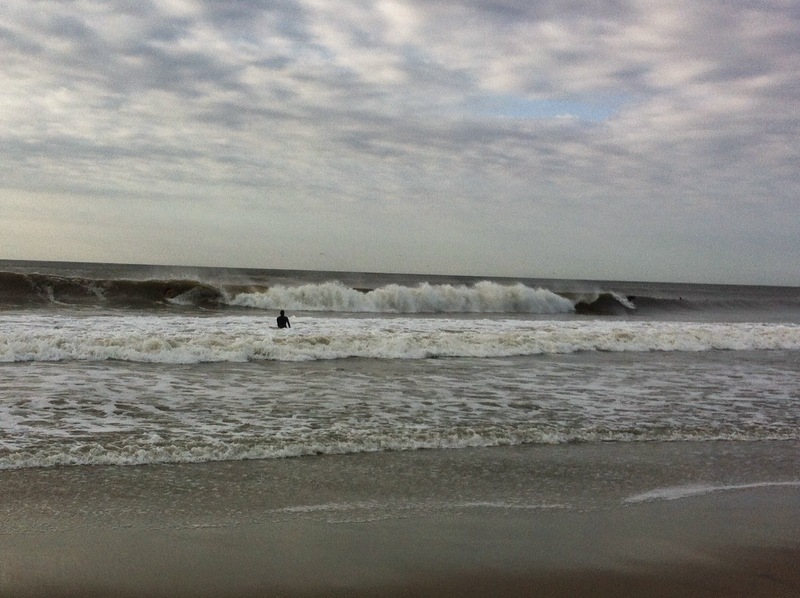 Clean conditions with head high waves and plus size sets! I got my fill, connecting on some nice long lefthand waves (I'm goofyfoot). When I got out I snapped a few pictures on my phone of the scene. 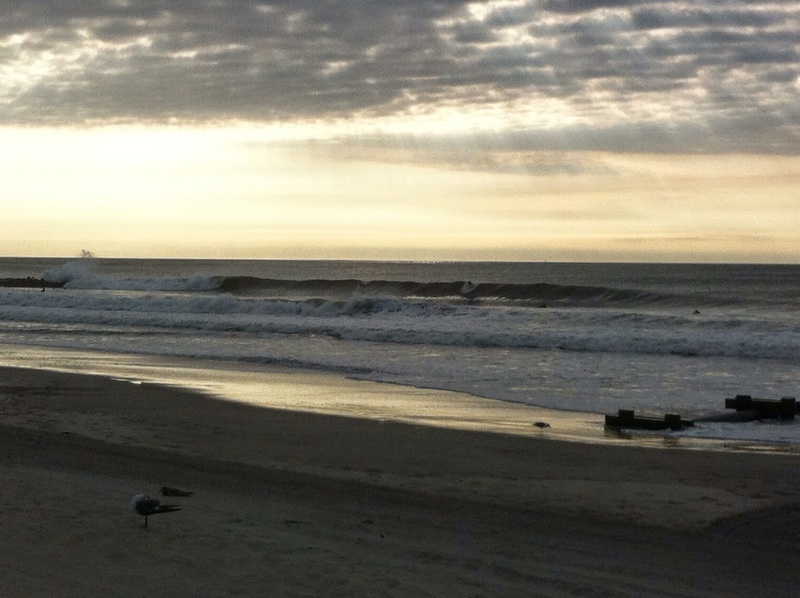 If you look closely you can see guys getting barreled in 2 of these pictures.